Welcome to Central Illinois Reclosers Inc. We service, repair and provide restoration services for electric power suppliers located in Illinois, Indiana, Arkansas, Missouri, Ohio, Kansas, Oklahoma, Colorado, Mississippi, North Carolina, and South Dakota. At Central Illinois Reclosers Inc. our goal is to bring you quality work with our 25+ years of experience in the industry. Safety is our top priority and we don’t let anything halt our progress. If you need an Oil Circuit Recloser, then Central Illinois Reclosers Inc. is the company you are looking for. The electric industry expects and warrants the utmost in accuracy, performance and safety. Central Illinois Reclosers Inc. is committed to 100% customer satisfaction. At Central Illinois Reclosers Inc. our customer is our number one priority. You can put your trust in us. When you have a need for oil circuit recloser service, repair, maintenance or testing, trust the experts at Central Illinois Reclosers Inc. With decades of experience and a penchant for superior service, we’re your foremost authority for any and all recloser services. 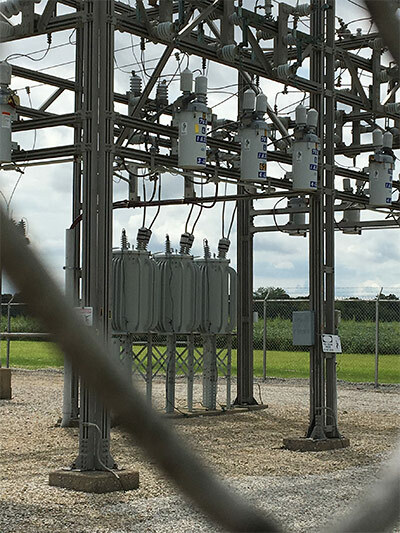 Central Illinois Reclosers Inc. offers oil circuit recloser service, repair and restoration for electric power suppliers located throughout the East- and West Central regions of the United States. Our capabilities encompass all facets of circuit recloser service and we’re pleased to have a vast depth of experience that allows us to serve you at an unparalleled level of excellence. We take pride in what we do and how we treat our customers! Our mission is to be the leader in oil circuit recloser (OCR) testing, maintenance, repair and restoration. Our approach to business is based on the Golden Rule: we treat our customers with the respect, courtesy and professionalism that we would want in return. Our goal is to set the standard for dependable, outstanding service. We have more than 25 years of professional experience within the industry. We serve all of Illinois, as well as IN, AR, MO, OH, KS, OK, CO, MS, NC and SD. We’re proud members of the Association of Illinois Electric Cooperatives (AIEC). We offer a complete array of services for oil circuit reclosers, including testing, service, repair and restoration. We specialize in one-shot reclosers of all styles, including H, 4H, L and E.